compulsory licensing schemes for various security operatives including clampers. This licensing scheme has been in force since 3rd May 2005. Significantly, the SIA does not regulate charges. Further changes to the law were enacted in the Crime and Security Act 2010 but they have not been brought into force. The 2010 Act plan was to improve matters by a licence scheme obligating licensees to abide by a Code of Practice; to have a proper appeals process. The Code of Practice was to regulate signage and maximum charges. The coalition government does not intend to implement this and the future of the SIA is in doubt under the Public Bodies Bill having been identified as a candidate for abolition in the bonfire of the quangos. Proposed offence of immobilising etc. a vehicle (Clause 54) - A person commits an offence who, without lawful authority - (a) immobilises a motor vehicle by the attachment to the vehicle, or a part of it, of an immobilising device, or (b) moves, or restricts the movement of, such a vehicle by any means - intending to prevent or inhibit the removal of the vehicle by a person otherwise entitled to remove it. 54(2) - The express of implied consent (whether or not legally binding) of a person otherwise entitled to remove the vehicle to the immobilisation, movement or restriction is not lawful authority for the purposes of subsection 1. 54(2) is hardly elegant wording but basically has the effect that "consent" is not to be taken as being lawful authority for the clamping. "Consent" is frequently held to be implied by, for example, the existence of notices warning of clamping. However, the "sting in the tail" is now coming in Clause 54(3) which deals with "barriers." Subsection (2) does not apply where - (a) there is express or implied consent by the driver of the vehicle to restricting its movement by a fixed barrier, and (b) the barrier was present (whether or not lowered into place or otherwise restricting movement) when the vehicle was parked. Thus, the existence of a "barrier" (which is not actually defined) will suffice to negate there being an offence and clamping will be lawful. See Of Interest to Lawyers - Goodbye to Clamping. The Bill (Clause 55) extends to private land the power already available for public land (e.g. roads) in the Road Traffic Regulation Act 1984 s.99 under which the Secretary of State may by regulations make provision for the removal of vehicles. Thus, new section 99 regulations can be expected so as to also cover private land. Clause 56 and Schedule 4 are concerned with Recovery of Unpaid Parking Charges. This is rather complex but it basically enables landowners or occupiers to recover unpaid charges from drivers or from the keeper of the vehicle (who will usually be the registered keeper). There is allowance made for cases where vehicles are "stolen" and abandoned on land though the wording of this may prove to be problematic. Unpaid Charges will be recoverable provided certain conditions (set out in the Schedule) are met. Interestingly, the Schedule contains its own Henry VIII provision - a practice recently deprecated by the Lord Chief Justice when speaking extrajudicially. The Bill falls well short of meeting the promises made by politicians - e.g. see above. One cannot help but feel that there is a degree of political legerdemain at work in placing these changes under the umbrella of a Protection of Freedoms Bill. Reference: House of Commons Briefing Note on Parking and wheel clamping - August 2010. Unfortunately, I am a resident with a clamping program in place, and I myself was clamped by an over zealous private contractor. I have yet to receive a refund. Just beware - this post related to the bill as it was when first issued. Changes will have occurred as the bill passed through Parliament. Also, please note, this blog must not be taken as legal advice. Had the Police and Local Authorities enforced The Consumer Protection from Unfair Trading Regulations 2008 the previous system would have worked admirably. The British Parking Association Code of Practice is enforceable via the Regulations And joy of all joys the Regulations make breaches a criminal offence. 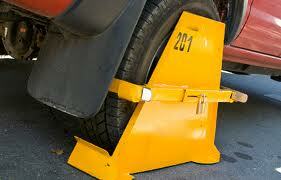 So if you've been clamped recently you're out of luck because the Bill hasn't been passed yet? Is that right? Existing law applies until the legislation is duly enacted and brought into operation (usually by a Commencement Order). So--if the bill gets through and IF it is brought swiftly into effect, as the present government is notoriously slow in doing with new laws when vested interests object--clamping on private land will be banned, unless it's done "with lawful authority". Just what does that mean? Does the bill define "lawful authority" anywhere? Or is the whole thing yet another government attempt to pretend to be doing something while it is actually sitting on its hands? Further provision is made to extend the power to make regulations for the Police and others to remove vehicles that are illegally , dangerously or obstructively parked. I totally aggree stick a gate on, my car was towed once in Manchester and the signage on This Unadopted road was less than visa le, they need requesting like council are, and charges of 250 for realease are criminal, got clamped in birmingham once also at pride and I had permission from my friend to park, and they clamped me they said I need a pass, and after arguing it I still had to pay 250. This is competed unacceptable, of someone is parked block them in and warn them would this not be fair. Instead we have twats doing as they please. - It will be an offence for a repairer not to return your car to you, even if you have not paid his bill. - If you own a lock-up garage and rent it to a car owner who fails to pay his rent you will commit an offence if you lock him out of the garage. - If you attempt to move a car blocking your property, you will be liable for any damage to that vehicle. - The provisions apply to any vehicle, in whatever condition - even if is a wreck, whether licenced or not, and even if you cannot establish ownership. Funny, I naively thought that the interpretation of statutes as to what constituted an offence was ultimately done in courts, not the Home Office. Still, live and learn. Someone really needs to look at this fairley, they should just be regulated like councils are and put up correct sinage that is clear, it's the charges which are the problem cap it to 30 quid if some is parked wrongly then it won't fall prey to robers ripping hard working people off. When is this bill being passed I will be dead at this rate before its done. This is not true - Under existing laws the owner would be comitting an offence by trying to remove the vehicle without paying. Not true - the owner can lock you out of the garage and stop you re-entering it. The doors to the garage are also a barrier so would be covered under section 3. You are already liable for any damage if you attempt to move a car and always will be. If it is blocking your property call the police or the local authorities who will still have the power to remove it. The local authorities have extended power over vehicles on private land under this act. Call them to have it removed. The time will come to have another look at what is now the Protection of Freedoms Act 2012. Sections 54 to 56 will come into force on 1st October 2012. As actually enacted, the 2012 differs in some respects from the wording in the Bill. The above post referred to the wording as it was in the Bill as first introduced to parliament. In my view, this legislation has done little to make matters better for the driver and it has only made the law even more convoluted than previously. The very name "Protection of Freedoms" is one of the biggest political con-tricks of recent years! Please remember, nothing on this blog should be taken as legal advice !! Doesn't the Act only make the subject clamping unlawful if carried out by a 'private person'? If so this seems to have no effect on a limited company, or any legal 'person' other than a private one.